Some Things Are Just Better Together! Introducing the first all-in-one system for professional speakers. 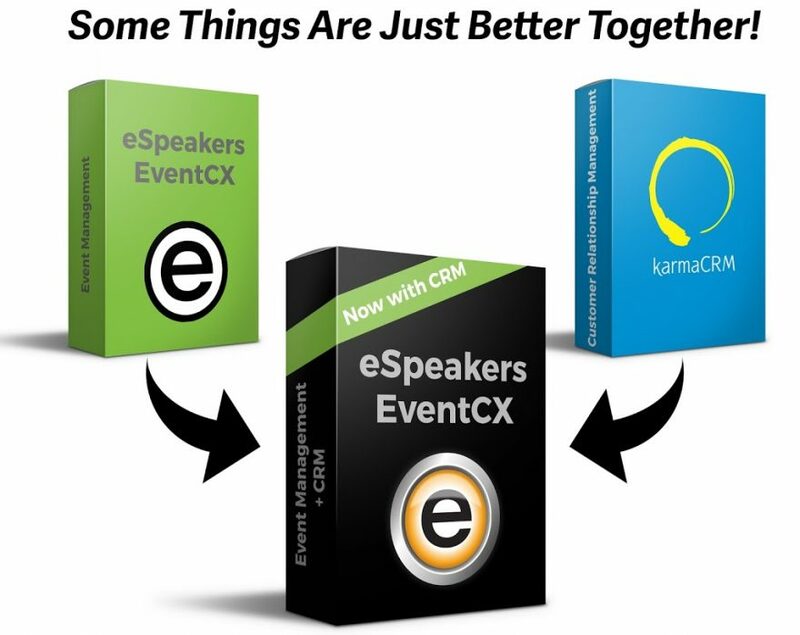 The pairing of the leading event automation platform from eSpeakers and the only CRM designed for professional speakers from karmaSpeaker creates a powerful solution for the industry. Together, the two technologies provide a seamless cross-platform experience with an integrated suite of tools that will help speakers book more engagements and manage their business more efficiently.